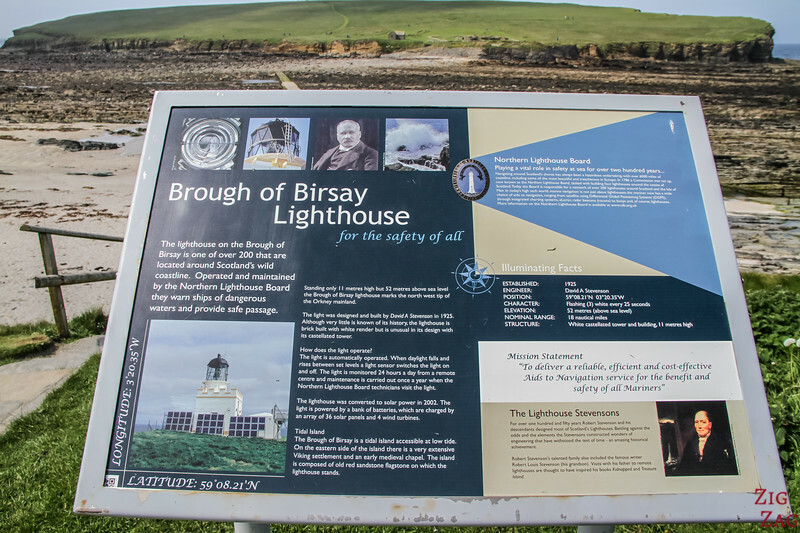 The Brough of Birsay is a tidal island off the north west coast of Mainland Orkney. Accessible only during low tide, you can see the remains of the settlements for 2 different cultures: the Picts and the Norse. Plus you can enjoy beautiful rugged coast and cliffs near the lighthouse. 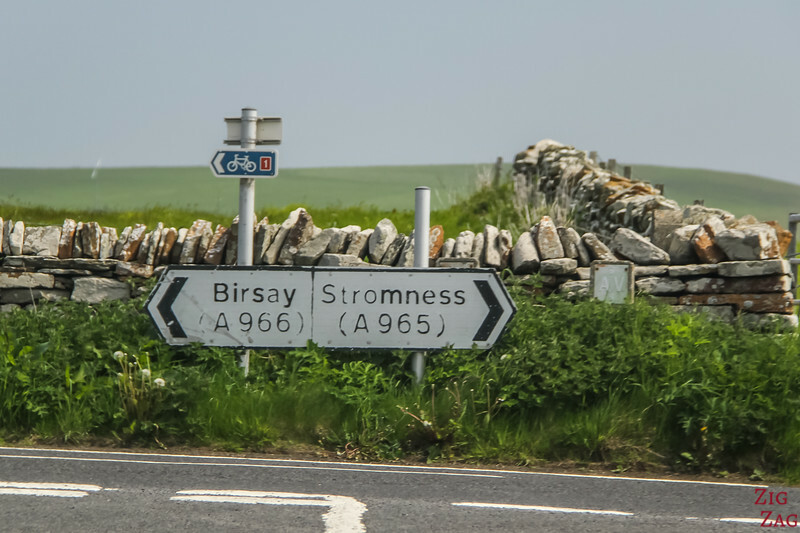 The Brough of Birsay takes it name from the remains of a broch (Iron age drystone hollow-walled structure found only in Scotland). 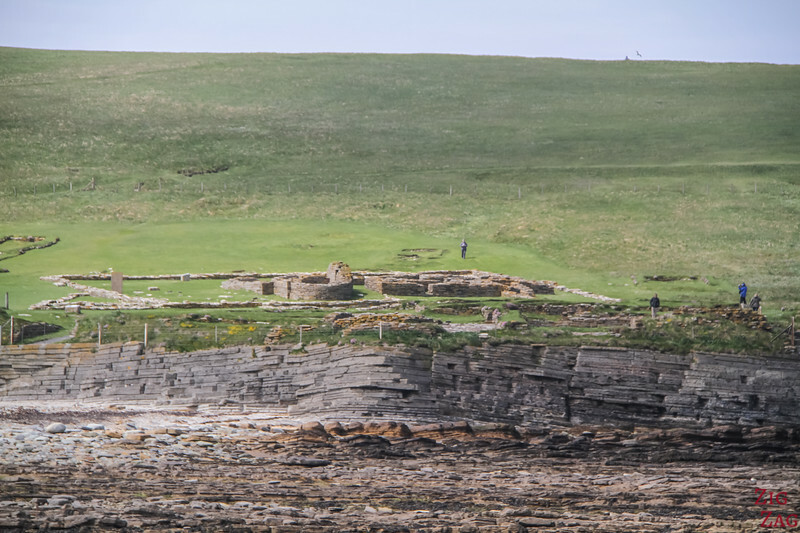 The site is less impressive than the Broch of Gurness but its location on the tidal island makes it quite special. 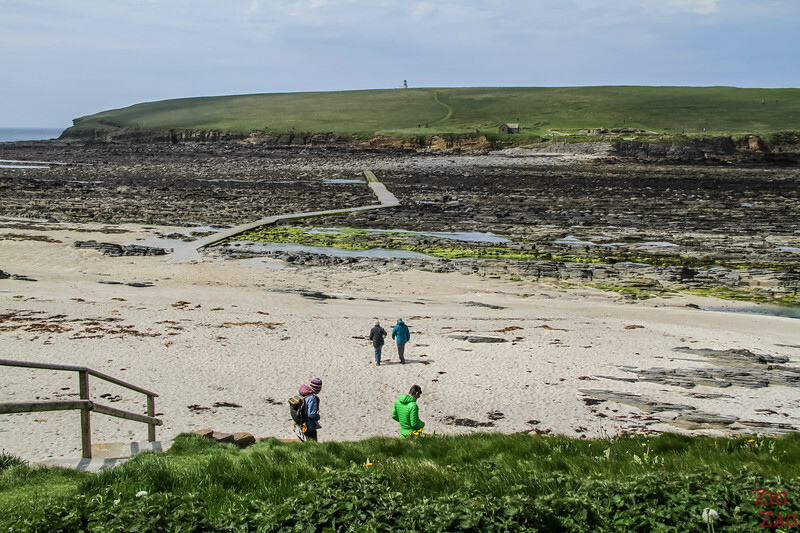 However to visit the Brough of Birsay you must consult the tide times - you can walk to the small island on a causeway which is open for about 2 hours either side of low tide. On a clear day the road to the car park offers you great views of the island. 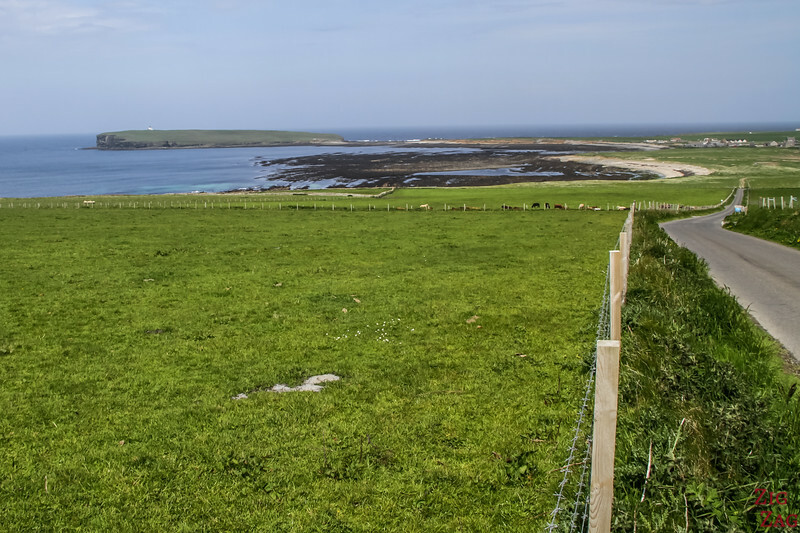 At high tide, it is separated from mainland by the Sound of Birsay, a 240 meter (787ft) stretch of water. 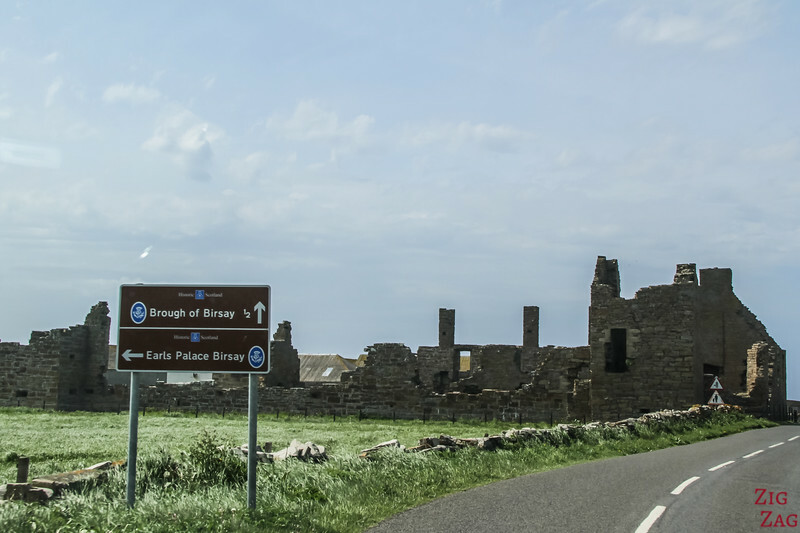 At the turn before you arrive at the Brough of Birsay parking, you can find the ruins of a mansion. 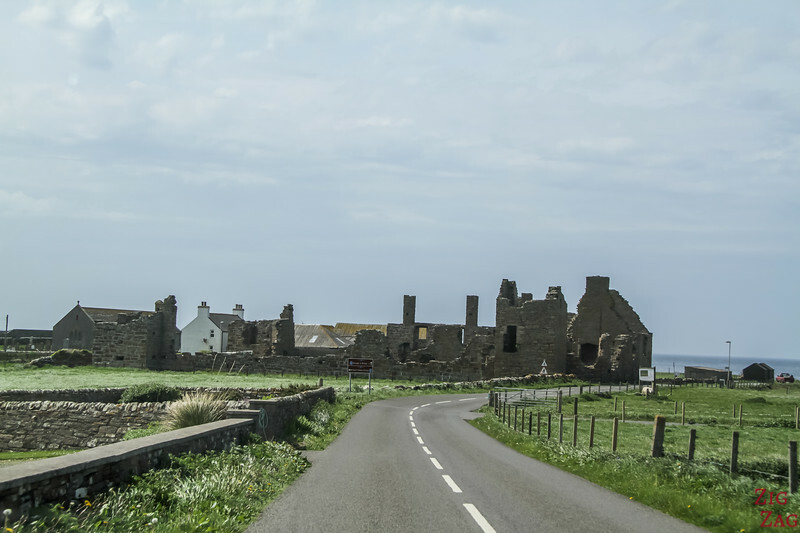 This was the Earls Palace of Birsay, not to be mixed up with the Earl's Palace Kirkwall that is way more impressive. This building is from the 16th century and used to be 2 storey. 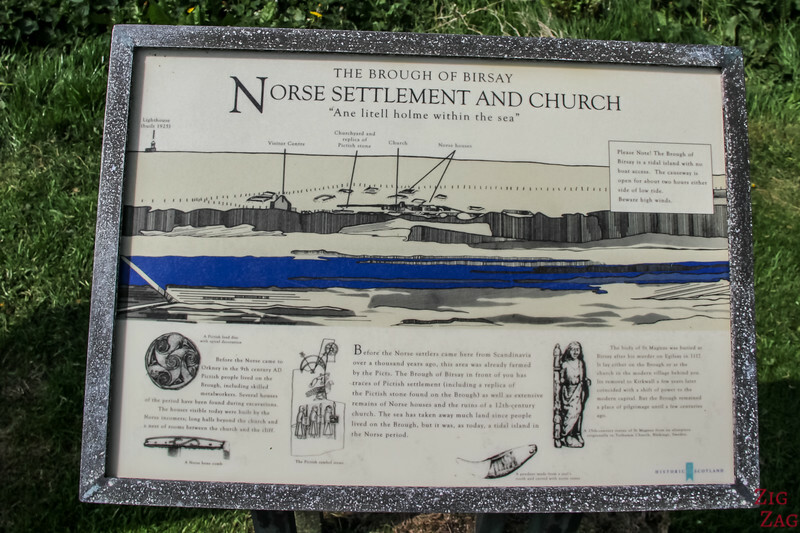 You can learn more on the Orkneyjar wesbsite. Below is a better view of the causeway to the island. Wear good shoes as it can be slippery. Even if you don't cross the views of the island are nice. 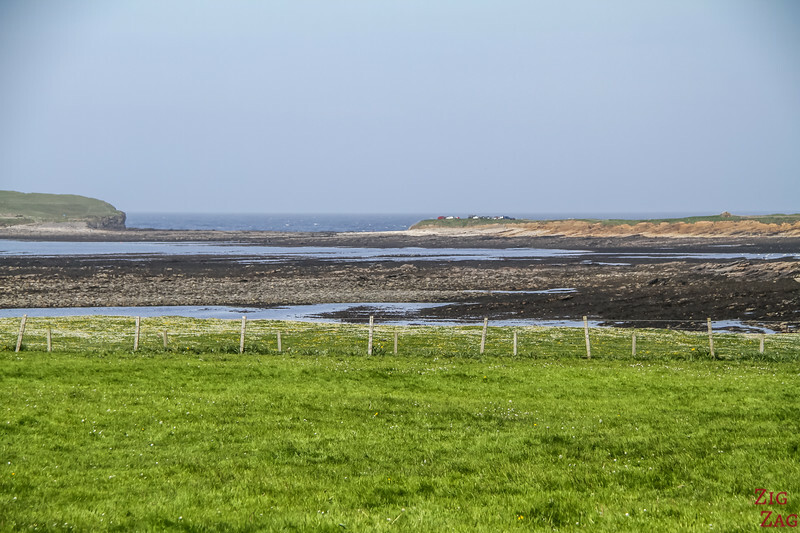 I did not have time to cross and visit the tidal island if I wanted to cover the many other sites on Orkney. 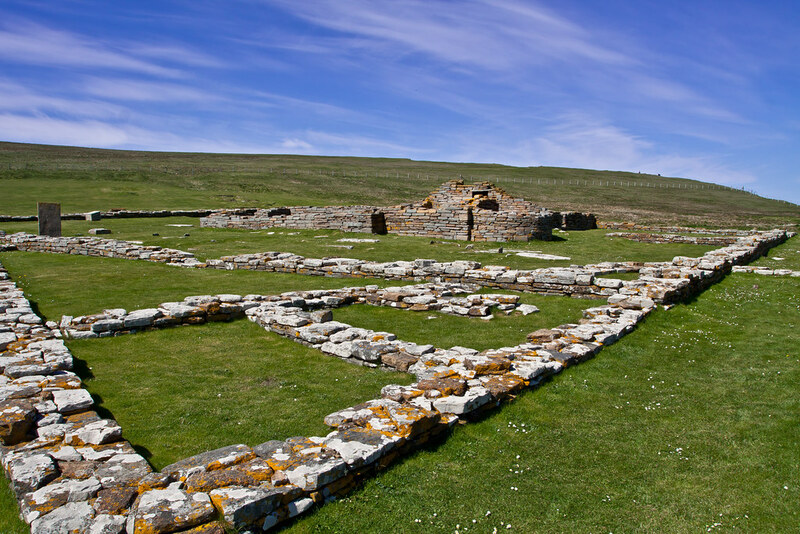 As I was going to visit the well preserved Broch of Gurness, I thought these ruins were not as impressive. Below is a a shot I had with my zoom from mainland. And to give you an idea of what there is to see, here is a photo embedded from Flickr. If you have time, the other side of the island has a beautiful coastline with cliffs and eroded shores. You can walk the the lighthouse and admire the work of the ocean. 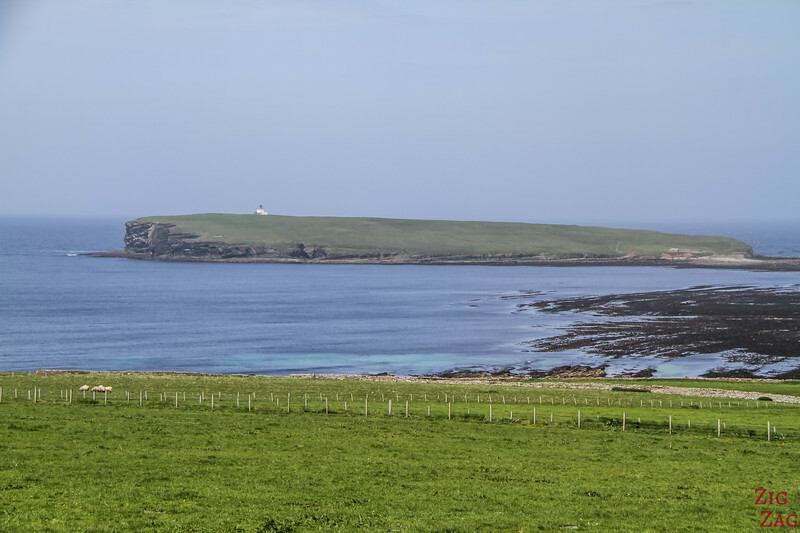 How far is the walk from the mainland to the lighthouse and pict brough? Is two hours enough time to visit these sites? Thanks!